The native breeds of Pitusas are the living memory of our ancestors, of the life and the Ibizan culture of yesteryear. They are species of unparalleled quality, adapted to Ibiza and Formentera like no other breed but which, now, are becoming breeds that are rarely seen, since the 5 breeds are in danger of extinction due to the lack of breeders in our islands and how complicated is the breeding of these species, since they require very special conditions. Three of them already have the recognition of native breeds (sheep, goat and chicken) and the other two have the inferior qualification of breed grouping (black pig and rabbit) that we will comment in another post soon. What is clear is that their quality is excellent and they are the epicentre of our local cuisine. Differentiated clearly from the other hens of the Balearic Islands thanks to the reddish colour of their wattles, a greater weight and a smaller crest, we find one of the basic points of the rural economy of Ibiza providing meat and eggs to the houses and constituting an important source of protein in the food of the people of Ibiza. 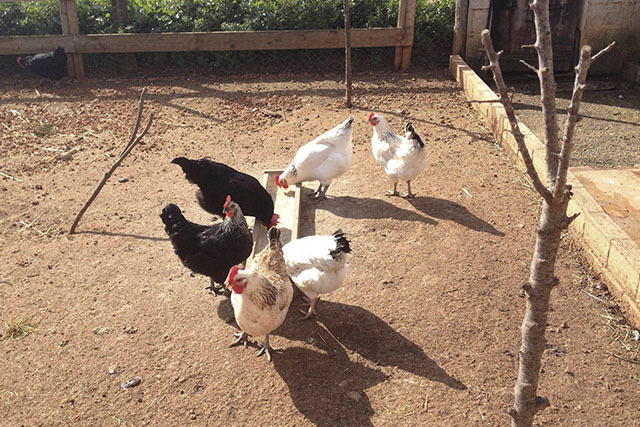 There are three recognised breeds of Ibizan chickens: Negra platejada, Blat platejada and Negra barrada. The description and characterisation studies of this breed began in 2006 and ended in 2012 with the official recognition of the Breed in Danger of Extinction. Currently, a programme of extreme emergency actions is being carried out, including morphological revision and updating of the census, among others, in order to properly carry out conservation tasks for this breed. 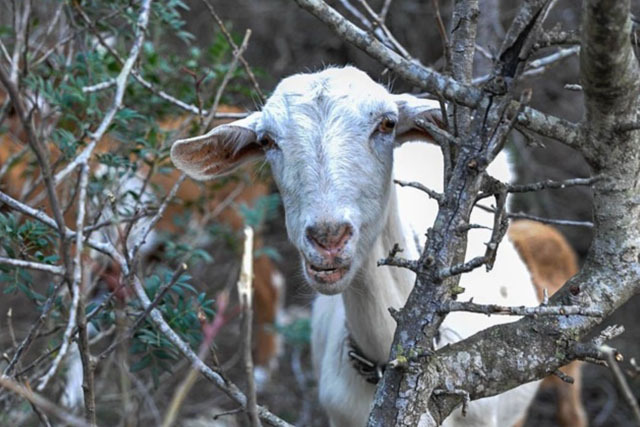 The Ibizan goat is also known as Pitiusa or Formentera goat and has been present in the rural farms of Ibiza and Formentera for many years along with the sheep. There are few antecedents that allow us to know the ethnic origin of this population, due to the variety of characteristics that we find in them, except that is undoubtedly totally different from the Mallorcan Goat. It produces, on the one hand, kids for consumption and, on the other hand, milk for cheese making (greatly appreciated in the islands) During the last decades of the 20th century, the introduction of other foreign breeds of goat that produce more have put in danger the existence of the Ibizan Goat. That is why in 2006 the Pitiusa Cabrera Breeders Association was created to promote the conservation of this breed. 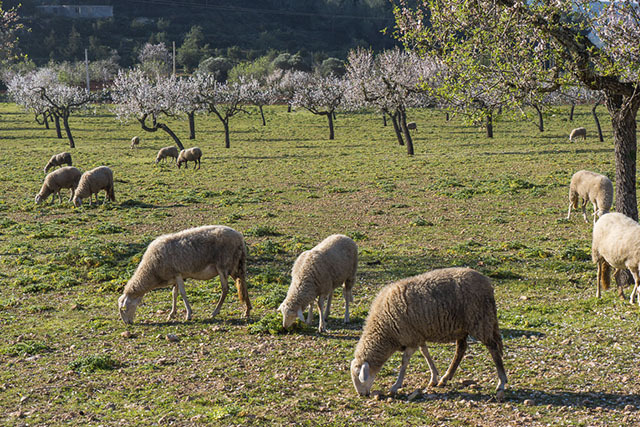 The Ibizan sheep is a breed that has been present in Ibizan farmhouses for many years, since it supplied families with meat and milk, thus constituting a key part of their diet. Unfortunately, at present, this sheep is in serious danger of extinction due to the introduction during the last century of other select and more productive sheep breeds. Despite enjoying a Genealogical Book and a Racial Standard approved since 2002, a Conservation Program that began in 2004 and a breeders association that has supported and promoted the breed since 2005, the breed is currently in a critical state of serious danger of extinction. A situation aggravated by the fact of living on an island that lives almost entirely from tourists, where faced with an imposing tertiary sector, the primary sector is very small and its production is mainly destined for self-consumption.